Local disaster relief may not be ready for mass response to a major event. Here's how you can watch out for you. If you're viewing this story in the KING 5 app, click here. If a 9.0 earthquake or a tsunami wipes out homes, roads, bridges, communication, and other infrastructure in the Pacific Northwest, keep that thought in mind. You have to assume no one is coming to help you, and you may not be able to get anywhere to find help, at least for a few days. It's not because responders don't want to help. It's because, as disaster preparation experts agree, they aren't ready to jump with a region-wide response when something that big happens. It's a sobering thought, and that's why you need to be ready -- now -- to be on your own. "You're either ready, or you're not ready (when it strikes). There's no 'getting ready' from that standpoint," emergency response expert Eric Holdeman said. He has spent over two decades in emergency planning at the local, state, and federal level. Experts like Holdeman agree emergency resources by the government are tailored for common occurrences like a flood or a landslide and are not nearly ready for a disaster for the history books. "The thought that 'I have a problem. I'm going to call 911' is not a good planning assumption in a regional disaster because of limited resources," Holdeman said. "It doesn't take much to overwhelm the existing resources that are at hand." If you call 911 because you broke your leg in the quake, guess what. Everyone else is calling 911, too. First responders won't be able to respond to all of you. They will likely first go to places where there is the highest concentration of people so they can do the most good at once, Holdeman said. That will be schools or nursing homes. If your house is on fire, firefighters may pass you by to get to another, larger disaster scene. What if you can't call 911 or loved ones because cell phone towers topple? What if the electrical grid is wiped out? What if some electromagnetic pulse turns your smartphone into an expensive brick? Many of us, especially millennials, live and die on our mobile devices and may not be ready for a life-and-death situation without them. People have come up with multiple excuses as to why they have not developed a disaster plan. One of them, according to Holdeman, is they figure a catastrophe of that magnitude will likely kill them. But he says only two percent of the population will die in the immediate aftermath. That means you have a 98 percent chance of surviving at least the initial event, and then you will be fighting to stay alive. That means you, your family, your school, and your business needs to be ready and know what to do right after the disaster hits. But Americans have gained a reputation for being among the developed world's worst-prepared for such a calamity. There are some simple things you can start doing now to prepare, and you don't have to do it all at once. Emergency responders used to say three days of supplies was what you needed in case of a major earthquake. Now, it's two weeks. The change was fairly recent. It came after the June 2016 Cascadia Rising drill which tested the Pacific Northwest's ability to not only survive but recover from a Cascadia Subduction Zone earthquake and resulting tsunami. The results found residents and state emergency response teams, were not ready. Holdeman calls a 9.0 earthquake, as opposed to a hurricane, a "come as you are event." Preparing for it equates to fastening your seatbelt. If you knew you could drive from A-to-B and wouldn't get into a crash, you might not wear a seatbelt. But you never know when that accident will happen, so you wear it all the time. And if you're in a fender-bender, you will walk away. If it's rollover crash, you're probably riding away in an ambulance. The severity of the disaster changes how much you need to be prepared. "I've been in enough disasters and seen all the smug people that were smug before the disaster looking pretty helpless and pretty embarrassed when their families aren't prepared. It's no joke," Jeffrey Guite, President of Seattle-based American Preparedness, said. His company builds, sells, and donates emergency supply kits for individuals, schools, businesses, and disaster relief groups. Guite say it's like buying insurance. You may never have to use the disaster kit, but you build it anyway for peace of mind. What we've all been told for years is to be ready to survive for three days following a catastrophe. For a once-in-lifetime event, that's not nearly enough. "Three days is good for your average, run of the mill flood event or road closed or big landslide," Holdeman said. "For a big regional disaster, and that would be an earthquake here, you need to be thinking about two weeks and not three days." And in some cases, even longer. “Prepare for at least two weeks on your own. That might not be enough for people on the coast; some local management is saying three weeks," Washington Emergency Management Division spokesperson Karina Shagren said. Isn't the military going to come swooping in with pallets full of supplies dropped from a C-130? If the earthquake happens as you are reading this, it doesn't mean they're ready to launch to the rescue. Holdeman said that probably won't come for eight days. The most mobile-ready unit to provide that kind of mass response is the 82nd Airborne Division at Fort Bragg, N.C. Naval support could also come from San Diego, but not for eight days. "They don't have the ships just sitting there waiting to go someplace," Holdeman said, indicating that personnel will need to be recalled and supplies need to be collected and loaded. That will take awhile. Not everyone will have the same needs in preparing for a major disaster. Before you run to the store or Amazon, evaluate your current living situation. Here are some scenarios you may not have thought about. If you're making a three-day kit for your car, how many cars do you have? Is there one that's always used to haul the kids to school? That means you need, at the minimum, three days worth of supplies for two or three people in that car. If you have an infant or toddler, be sure to have extra diapers, wipes, and formula ready. Does someone need regular prescription medication? Kits need to have enough non-expired medication to last until that person can get to a bigger supply. The disaster happens when you're coming home from the dog park. The bridge is wiped out, and you can't get home. Do you have water and food for Fido or Fifi in case you are stranded? Will everyone know what to do if the entire cellular network is knocked out and you can't call each other? If a couple can't reach each other, do you know who will go pick up the child from daycare? Do you know where to meet if one of you gets home and it's destroyed? Make a plan. Find out where the school or daycare will take your child if they have to evacuate. Determine who will go pick up the child or if both of you will meet there. If you're a single parent, find someone to back you up who you know will make getting to your child a priority. Speaking of that, what if you can't drive because roads are impassable and covered in mud and debris? "You're going to need wet weather gear and good walking shoes," Holdeman said about what else you should pack in your car. You also need to know the plan for your child's school. When teachers these days talk about having to pay out of their own pockets for school supplies, it's not hard to fathom that some schools may not be ready to take care of 1,000 kids after a 9.0 earthquake. Find out what your school's plan is. Is there a place there that you can store supplies for your son or daughter? The same goes for nursing facilities if you have a loved one there. Make sure your plan not only includes how to evacuate your home, but how to evacuate the region. Figure out which friends or relatives you will go to outside the Puget Sound if necessary. Do you have a robust first aid kit? Do you know how to use it? The American Red Cross offers classes in CPR, Infant CPR, first aid and use of AEDs. There is a reason that when astronomers look for life on other planets and moons, there is one question they ask first: is there water? Water is life. When the disaster happens, prioritize it. "The No. 1 thing always is water, water, water. You can survive a long time without food or other things," Holdeman said. "People start dying in three days if they don't have water to hydrate." The standard guide is you should have one gallon of water per person per day. That covers drinking and cooking, not hygiene. If you have a family of five, and you're talking about the 14 days of survival, that's 70 gallons of water. Most people don't have anywhere to store that on a regular basis in case of emergency. An earthquake may destroy the water system. And even if it doesn't, water could become contaminated if purification systems go offline. One source of clean, potable water is from your water heater, which can hold up to 50 gallons of water depending on its size. "That's an immediate source of clean, potable water. So making sure that your water heater is seismically braced so you protect that water source is critically important also," Holdeman said. Another source is the toilet tank. You don't want to drink out of the bowl like your dog, but the tank water is the same that comes out of your tap. Assuming the water is still coming out of the faucet, you can also fill your bathtubs and sinks with water. Be sure to plug them securely as water can seep out the drain even when you have closed the stopper. And you shouldn't assume the water isn't contaminated in the aftermath of an earthquake. The water system may have been compromised. You can buy water bottles with filters or even water filtration straws for $18-$35 online for your kit. But those filters will only clean a limited amount of water, depending on how dirty that water is, so buy some replacement filters. You can also get water filtration tablets. There are more expensive, battery-powered water purification systems on the market that don't use a filter, which means they can purify endless amounts of water. If your gas or electricity is working, you can always boil water. For a short-term emergency kit, you can buy small packets of Coast Guard-approved water that are good for five years. You wake up, you check your phone. If you need directions, you check your phone. If you don't know if you need an umbrella, you check your phone. What are you able to do these days that doesn't require a phone? We use it for virtually everything. Chances are, you don't even know the phone number of your best friend because you know it will be in the phone directory. For many, the phone is their No. 1 source of information. But if the power grid goes down, your battery will only last for so long. If cellular service goes down, you may have no signal. If you can't find a place to get a WiFi signal, you have no Internet. Information will be key after a disaster. That's why your best way to get 21st century information may be a 19th century solution: radio. "(You need) a hand crank radio, AM-FM, that you can get information from the authorities about what's going on and, 'Is there an evacuation order? Are they telling people to go one direction or another?'" Holdeman said. Information is critical. "Without it, you're kind of flying blind," he added. Some radios also have solar power. 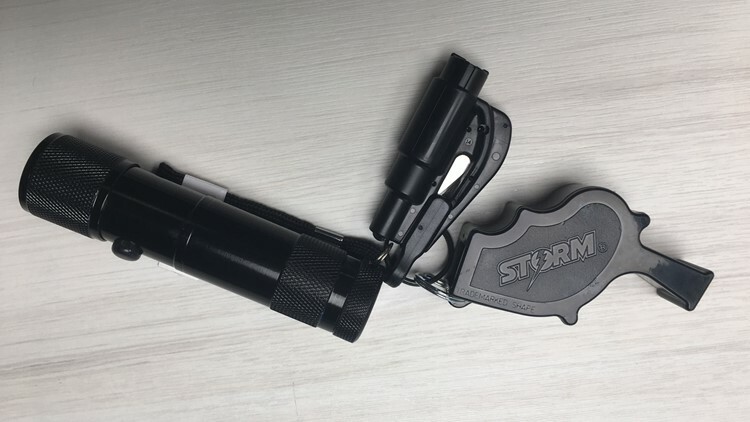 You can also find all-in-one hand crank emergency devices that will serve as a flashlight, radio, and has USB ports for charging your phone. Put important numbers on a card for your wallet or purse so you can call from a landline if you can't call from your smartphone. The online traffic apps you use may not work, but there are offline map apps you can download at a cost. But use them sparingly as they'll eat up your battery power. If possible, have available a basic folding map of the area where you live. You may need it if the road you are relying on to get to safety is not useable. After the disaster happens, the last thing you want is to lose battery power on your phone just in case the grid is working. Shut down all unnecessary apps, Push notifications, GPS and location services. Decrease your screen brightness. Shut off the phone if you don't need it and forward calls to a landline if you can. Stay off your phone as much as possible. An overtaxed cell network could make it harder for emergency services to communicate. Cash. You know, dollars and cents? In today's world, people spend money using plastic at the store or online. If there is no power, there are no ATMs. If there is no cellular or satellite network, there are no working debit or credit card machines. And, again, it could be that way for weeks depending on how badly the infrastructure is damaged. "A lot of millennials, they carry no cash whatsoever. They're living in this electronic world where they put everything on the card. So having some cash available, both coins and bills, would be good," Holdeman said. How much money depends on what you can afford. You should have some cash in both your home and car emergency kits. Remember the car emergency kit is to get you safely from A-to-B, so maybe enough for some gas (if gas pumps are even working) and for some food or water at a convenience store (if nobody else has already bought everything once you get there). If a disaster happens, you need to also be looking out for your pets. But what should you have ready for them? Here is what to consider for your pet emergency plan. ID your pet: Make sure they're microchipped, and their tags are up-to-date with address and phone number. Some owners also put GPS trackers on their collar, such as Tile. Just like with other members of your family, you need to plan how someone will take care of your pet if you cannot get to them. A major earthquake could wipe out roads and bridges and leave you -- and them -- stranded. Find a trusted friend or relative who will go get your pet and can watch them if you can't. * Water: This priority one. Have a water bottle just for them ready to go. Remember that you can use the cap as a bowl they can drink from -- just don't share it with anyone else. * Food: If it's dry, make sure it's in an airtight, waterproof container. But you may want to consider wet food instead. "Wet or canned food has a high water content, so they will drink much less when eating canned food," veterinarian Cherri Trusheim with Urban Animal said. * Manual can opener and dishes if you're going with canned food. It's also suggested you keep pets separated during a disaster, even if they usually get along. Anxiety during stressful times like this can cause a pet to act irrationally. Have a pet carrier, and a leash or harness for each pet. Also have a blanket or a bed and at least one toy. If you must leave your pet behind, know what shelters and boarding facilities will accept pets during an emergency both in and outside of your area. Make sure you have an updated copy of all their vaccinations in your emergency kit -- they may require that information. The ASPCA says local and state regulations do not allow Red Cross to take in pets during a disaster except for service animals. You should also get a rescue alert sticker to let people know that pets are inside your home. Put them in a visible spot. Include the types and number of pets inside, and your veterinarian’s name and number. If you have taken your pets with you, write “EVACUATED” on the sticker. It's also important to know the dangers of pets spreading disease to you and others after a natural disaster. The ASPCA says pets can transmit rabies, ringworm and leptospirosis through exposure to certain weather conditions, standing water, other animals, and insects like mosquitoes, fleas, and ticks. Leptospirosis is a bacterial infection in animal urine that can cause damage to your kidneys and other organs. To avoid catching these, wash your hands regularly and keep pets away from stagnant water and other animals. And make sure their vaccinations are up to date. People with larger pets such as farm animals will have to take additional steps such as mapping out alternate routes for evacuation and determine final destinations for veterinary care. What do I need in my three day kit? Here are some survival basics you should try to have in your three-day personal kit. Remember, these items are not meant to keep you alive indefinitely. It's to keep you alive until you need to get where you need to go or until you can obtain more supplies. A NOAA emergency radio, This one includes flashlight and ports for headphones and charging a cell phone. This can run on a battery, solar, or a hand crank. * Hand-cranked AM/FM radio. 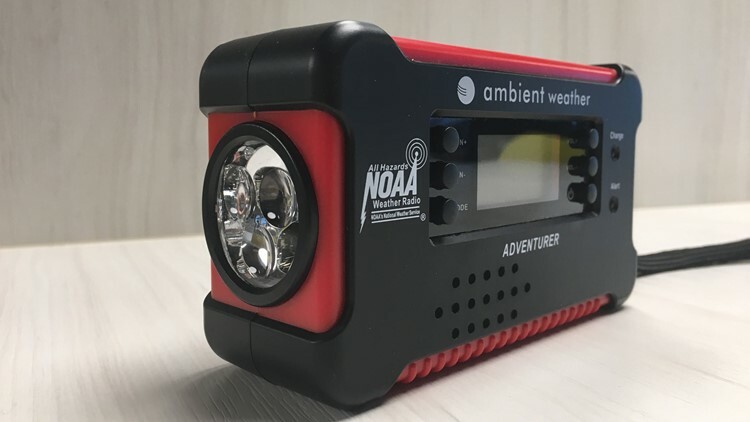 Better yet, a NOAA weather radio -- “We do not expect to be able to use traditional forms of communication," Shagren said. * A Swiss Army Knife or something similar in case you need to do some cutting. 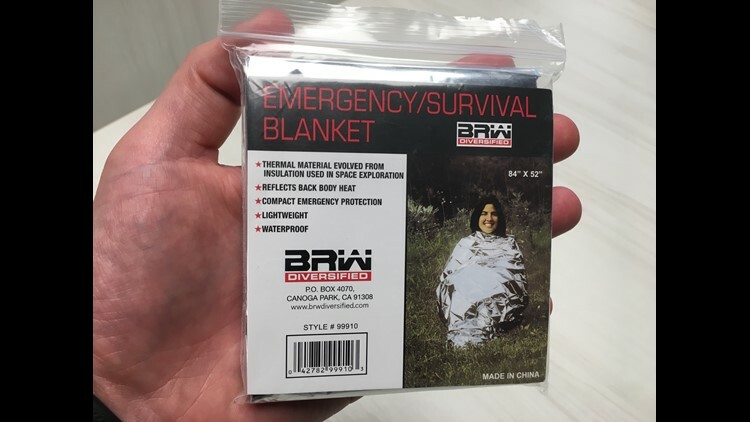 This blanket, which can be folded to fit in the palm of your hand, may save you from hypothermia. * Emergency sleeping bag -- they're $5 and can fold up tight enough to fit in your pocket. They aren't comfortable, but they'll help keep you warm. * Tarp/plastic sheeting and duct tape to make a shelter or a non-contaminant room. Dixon says you should have a kit for home, car, and work. For added mobility, put it in a backpack. As you make your plan, expand on this kit however you need to. If you need to make a kit for four people, quadruple your food, water, masks, etc. If you have kids, add a coloring book. If there's a chance you may need to split up, have more than one whistle to have a crude form of communication. If you want to add a stove, Guite says get a butane one because it's safer to use than propane. If this is for your car, Guite says to keep the kit right behind the driver's seat. If you're involved in a crash and can't escape, you need to have it within reach. A car escape kit should include a flashlight, a seatbelt cutter and window breaker (center) and an emergency whistle. You may also run into a situation in which you get trapped in your car and can't escape through the door, or your seat belt won't disengage. Guite suggests having the following items available in your car in case you need to escape. Have them on your keychain or connect them to your steering column, so they don't go flying around in case of a crash. You don't necessarily need to do these in this order, but these are among the first steps you should take. All the information below is in a document at this link. Download it to your phone so you'll always have access to it. * Check: Are you injured? Is anyone else injured? * If this was an earthquake, do not go outside unless it's not safe to stay in your building. If you live around high-rises, glass could fall to the ground or facades of older buildings could crumble. * If a tsunami is approaching, get to a higher floor or higher ground immediately. * Keep refrigerator and freezer closed as much as possible if power is out. * Call only who you need to and keep conversations short. Join KING 5’s Disaster Preparedness Facebook group and learn how you and your community can get ready for when disaster strikes.